Thumbprick, created by Mason Gentry, is an extension for your browser that allows you to save links/bookmarks quickly and easily. Chrome and Safari are currently supported with Firefox in the works. It is currently an invite only beta (you may be able to find an invite code here). Follow Thumbprick on Twitter and Tumblr. 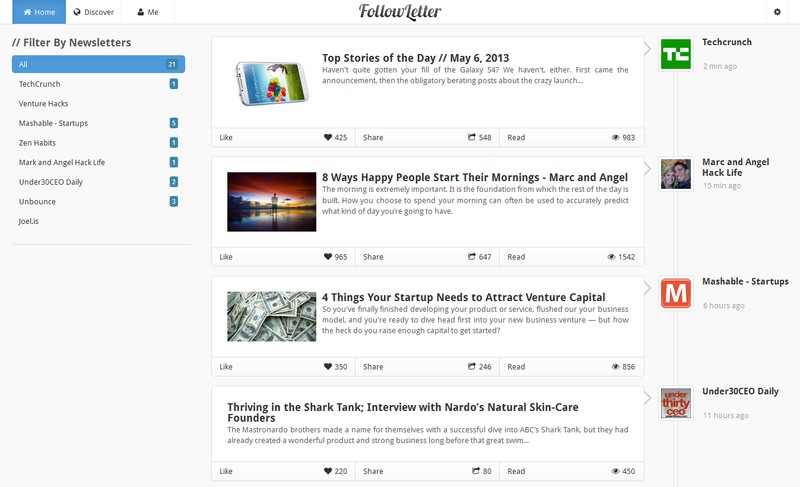 FollowLetter lets you subscribe to your favorite newsletters and blogs with a single click. Moving your newsletters from your inbox to a web dashboard allows you to read, comment, save, and share publications while reducing email overload. Discover new newsletters based on your interests and connect with similar people. Co-founded by Ossama Benallouch and Hussein Ahmed. Join FollowLetter on Twitter, Facebook, and AngelList.